Christmas wouldn't be Christmas without popping a 'What I got for Christmas' post up. These posts are one of my favourites to read, primarily because I'm nosey, but also because I like getting ideas for things I'd like to buy in the sales, as well as just generally seeing what bits and bobs people get for Christmas. I had quite a modest Christmas this year; I asked for money towards a new camera from the majority of people, so I didn't go too crazy on the gift front. I did however get some lovely little bits which I couldn't resist sharing with you. 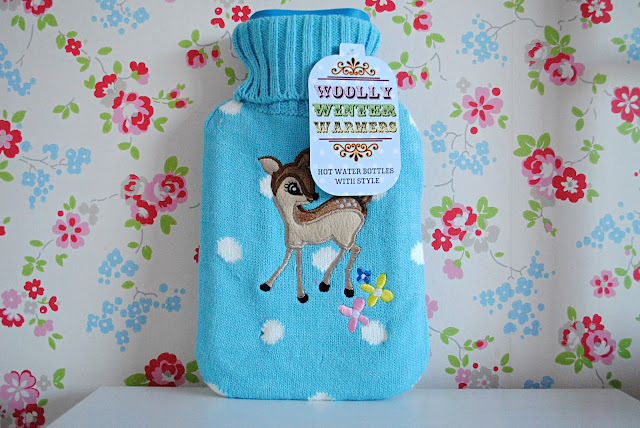 First up, my boyfriend got me this BEAUT of a hot water bottle. I'd actually seen it at an ASOS event a while ago and lusted after it for ages, so I couldn't believe it when Tom got me it. He said I always complain I'm cold so this is the perfect present. It goes beautifully with my room and the little baby deer on the front is the cutest thing ever. My parents predominantly got me money, but they also chucked in this gorgeous Japanese Cherry Blossom Giftset from The Body Shop too, which smells so nice and fresh. It comes with shower gel, body lotion, a fragrance mist and little body scrubber. The shower gel and body lotion are cute little minis, ideal for taking away travelling. One of my favourite pressies was this Juicy Couture necklace from my friend Louise. 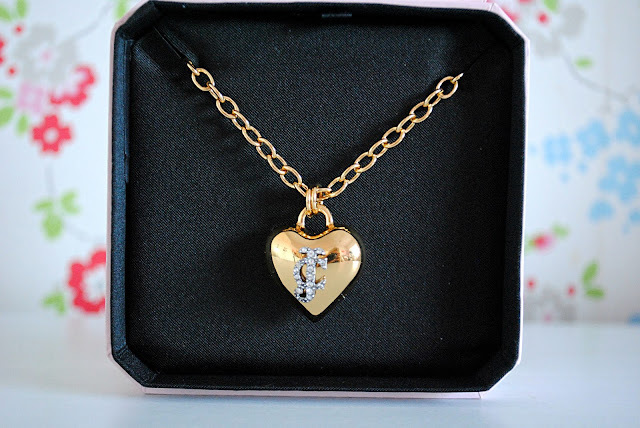 I am a huge fan of Juicy Couture jewellery and have wanted a necklace to add to my little collection for ages, and this one couldn't be more perfect. It's on a long chain and has a gorgeous sparkly detailing on it. I absolutely love it and haven't taken it off since getting it! 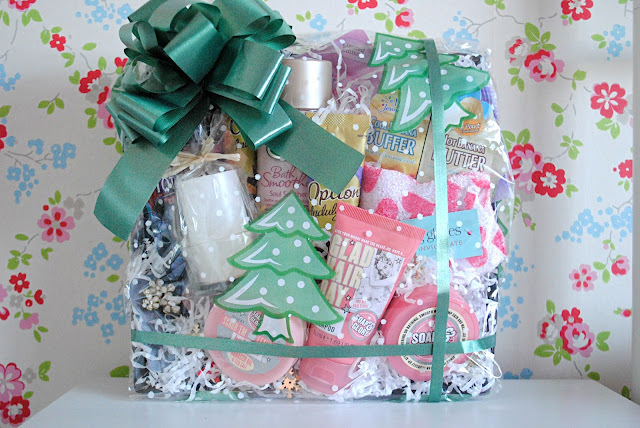 Another gorgeous gift I got is this amazing pampering bundle, fit to burst with some amazing goodies, including lots of lovely Soap & Glory bits, face masks, exfoliating gloves, a candle, shower gel, hot chocolate and some pretty hair clips. It's such a thoughtful gift and will definitely get lots of use - you all know how much I love a good pampering sesh! My sister got me this absolutely stunning eyeshadow palette from MAC, entitled the 'Stroke of Midnight' smokey eyes kit. The packaging for this range is amazing and the shades are so beautiful. MAC is definitely my joint favourite eyeshadow brand with Urban Decay so I am so excited to get using this palette. 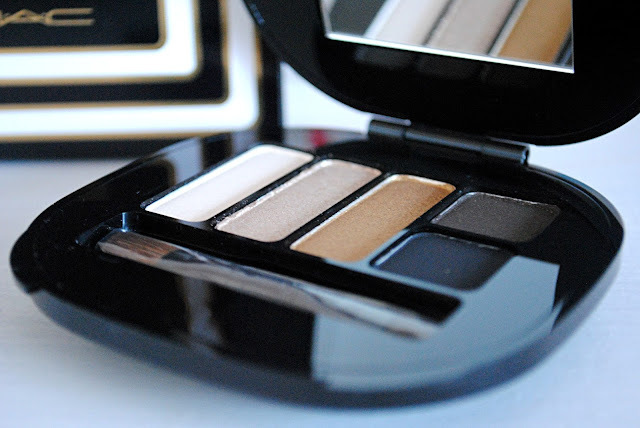 I think it'll be ideal for creating a smokey eye for New Years Eve! 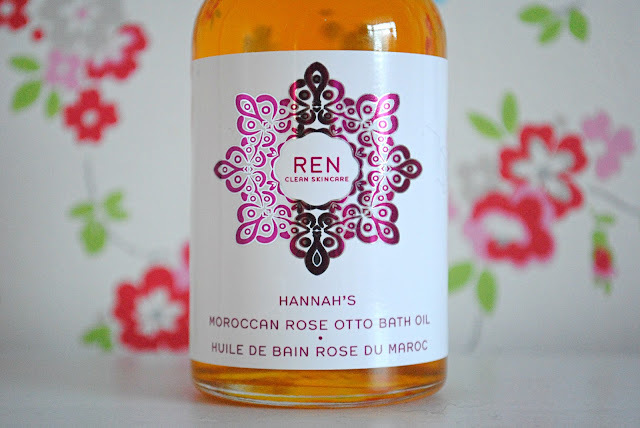 The lovely people at REN, my current favourite skincare brand, had me well and truly spoilt with this personalised Moroccan Rose Otto Bath Oil. The Moroccan Rose range smells incredible and I am so grateful for this lovely gift. It is currently pride of place on my bathroom windowsill. I've needed a new purse for ages now and my boyfriend kindly came to my rescue with this amazing one from Disaster Designs. Disaster Designs is one of my all-time favourite accessory brands - they create the most amazingly unique pieces that are unlike the majority you see on the highstreet. 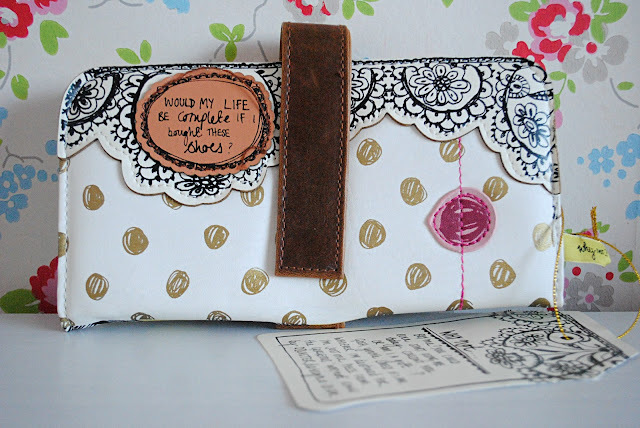 My purse is from the 'Why Not?' range and says 'Would my life be complete if I bought these shoes?' on it, which my boyfriend says is me all over. 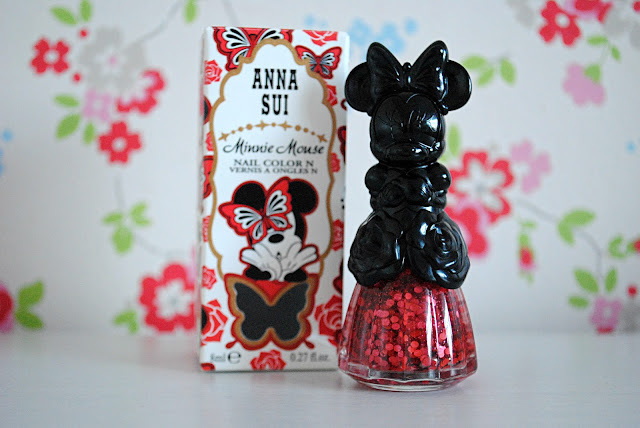 I've been head over heels for Anna Sui x ASOS collection featuring the one and only Minnie Mouse, so I just had to ask for a little something from the collection for Christmas. This nail polish is a gorgeous chunky red glitter, and my favourite thing about it is, undoubtedly, the packaging. Just how cute is Minnie in a ball gown?! I love it so much and think it'll look amazing on my dressing table. 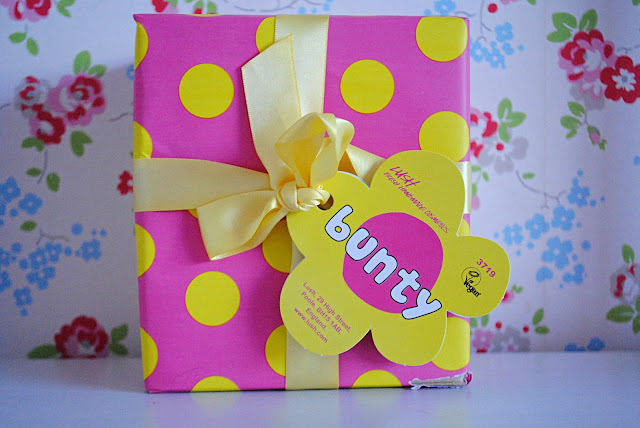 It just isn't Christmas without a Lush giftset, and Bunty is definitely one of my favourites. 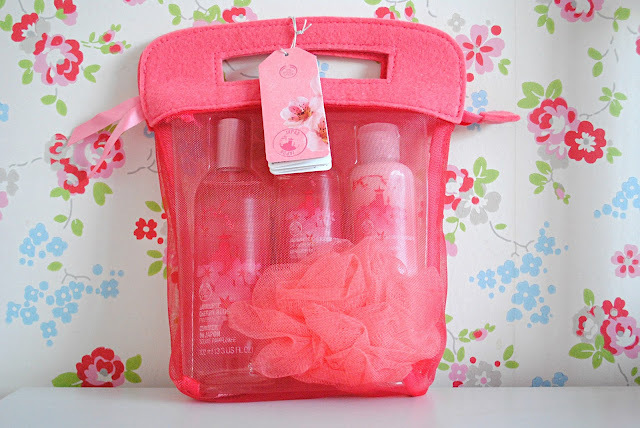 I'm all about the super girly, sugary sweet scents and this little giftset smells INCREDIBLE. It comes complete with the Space Girl Bath Ballistic, Mini Comforter Bubble Bar, Think Pink Bath Ballistic and Creamy Candy Bath Bubble Bar. Deliciously sweet! 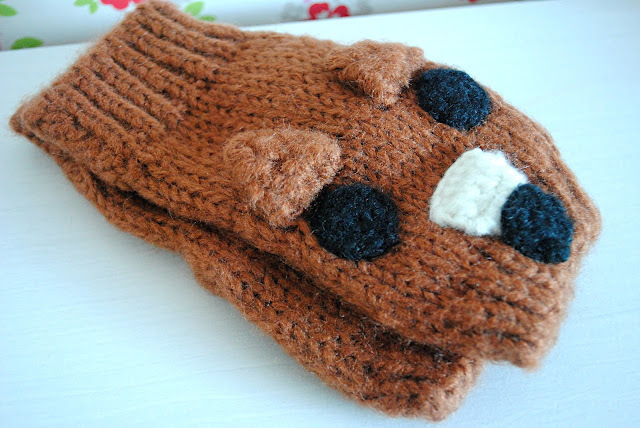 You have to get a new pair of gloves for Christmas, and this pair of furry foxes is so cute. I love animal knitwear, and can't wait to wear these lots over the coming chilly months. 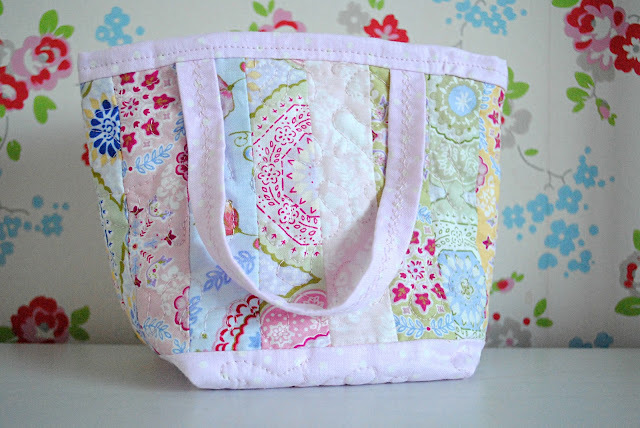 Finally, I got this cute little handmade gift from my sister - a gorgeous little bag made especially for me. It goes perfectly with my room and I think I'm going to use it to keep some of my bath bombs and bits safe. It's so pretty! So there you have it - everything I got for Christmas. I also made a video featuring all the bits I got, so check that out here if you'd like. I hope everyone is having a lovely Christmas and looking forward to New Year!